After parting ways with her troubled mermaid tribe, Luce just wants to live peacefully on her own. But her tranquility doesn’t last long: she receives news that the tribe is on the verge of collapse and desperately needs her leadership. The tribe’s cruel queen wants Luce dead. Dorian, the boy Luce broke mermaid law to save, is determined to make her pay for her part in the murder of his family. And while the mermaids cling to the idea that humans never suspect their existence, there are suddenly ominous signs to the contrary. But when Luce and Dorian meet, they start to wonder if love can overpower the hatred they know they should feel for each other. Can Luce fulfill her rightful role as queen of the mermaids without sacrificing her forbidden romance with Dorian? It is impossible for me to write this review without getting a little spoilery so prior to dropping any bombs I am going to prepare you so that if you want to read them you can just highlight to view and if not, you can skip right over them! Disappointed. If I had to describe my feelings for Waking Storms in one word, that is what it would be: disappointed. Remember all of those things I said about Lost Voices? How wonderful and different it was that the author had zero focus on romantic relationships but focused instead on friendships and character growth? Pretend it never happened. I can’t say that there wasn’t character growth, because there was and it was one of the few reasons I continued reading this book and didn’t mark it as unfinished and as always Porter’s work is descriptive and lyrical, it was not hard to imagine myself deep in the ocean or on a beautiful secluded beach while reading. I believe it was the drastic changes between book one and two that initially turned me off to Waking Storms, there were many things that didn’t sit well with me. One change between book one and two is the difference in point of view. While reading book one we stayed in Luce’s head, seeing the story from her side alone. This novel follows multiple characters and their point of view and therefore opens up the story so that the reader can get a glimpse into what is happening on land. I would have really enjoyed this change but I couldn’t stand Dorian and half of the book followed his thoughts and experiences. Yes, I can see that he is a teenage boy, and sharing his name with a famous Oscar Wilde character who is obsessed with himself wasn’t lost on me. I’ll admit that I might have even been a bit biased while reading this because I was struggling so hard against the romance that I didn’t like Dorian from the beginning. However, as a reader who experienced Luce almost get raped by her uncle in book one, it was hard for me to appreciate how she was throwing herself emotionally and physically at another male character! I can’t imagine that had I nearly died after almost being raped I would “fall in love” with the next guy I saw and imagined what it would be like to be on land so we could, you know, consummate the relationship! Not to mention that it wasn’t just teenage romance…it was longing and caressing and frankly made me feel uncomfortable while I was reading since they were both fourteen! Mostly, I hated the way that Luce fell apart when she was around Dorian. In the water she is a strong mermaid queen and “hell hath no fury” and then soon after she is pining for a boy! Honestly in retrospect it felt like that is exactly how the story went: Luce is strong in the water and shows her power in her voice and mind, next scene, Luce is weak and sitting on a beach with Dorian and then? Back to the water! I am a little confused as to what the heck was going on with Luce’s father? I love a father daughter relationship but honestly what was he doing on that island? Why was he hearing voices? HOW WAS SHE ABLE TO FIND HIM AND SWIM HIM ACROSS THE WORLD TO SAFETY?! I know there is a third book coming so I am sure we will have all of these questions explained but when I am reading I prefer to be intrigued and not completely confused over a plot point. Then the ending? I really cannot fathom why that gore was an addition to the story, it was completely out of place. I read horror novels, I am not scared of violence or gore but I was completely thrown off and disgusted while reading this lyrical novel when the ending came. It seemed like an afterthought that could have been taken out completely. The author does have a knack for description, it’s one of the things I really enjoyed while reading book one, however in using this gift to describe a murder scene made me feel really unbalanced and it didn’t sit well with the rest of the novel. I will say that I loved the beauty and descriptions of this story, I loved the secondary character found in Nausicaa and I really loved the explanation of the origin of the mermaids. I won’t spoil it for you but it was a nice addition that I really liked. 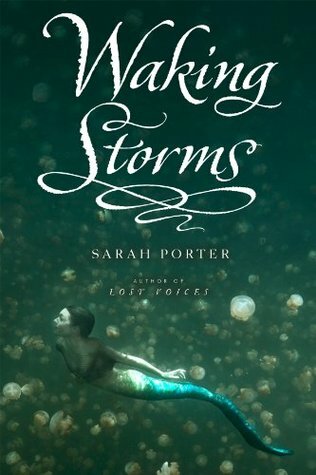 Sarah Porter went a completely different way with book two and I am sorry to say that it didn’t work for me, I will not be back for book number three in this series though for those of you still interested, from the end of Waking Storms it seems like Luce has finally found her voice and she may surprise us all. Here’s hoping. 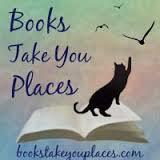 This entry was posted in Reviews, Young-Adult and tagged fantasy, mermaids, romance, young adult. Bookmark the permalink. I am sorry to hear you didn’t like this book..Mermaids seems to be a new trend and YA lately that I am interested in but based on this review I will be skipping this one!